This was in August 2010. 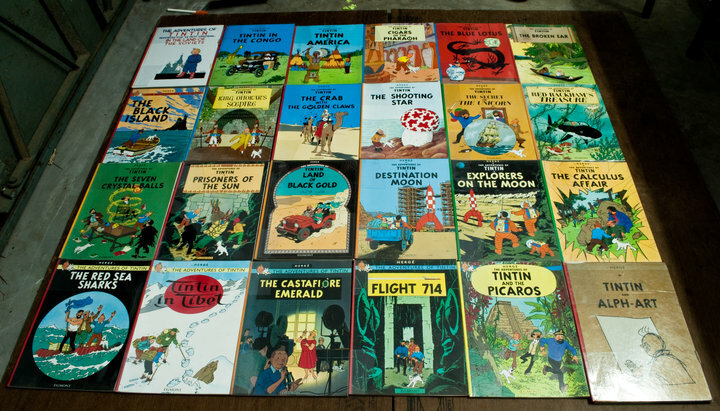 I had just finished buying all the Tintin albums. Procurement was a dreadfully slow process, bottlenecked by the small stipend that I was getting from my University. The Facsimile editions and The Lake of Sharks were not featured here.